Bradley Wiggins surrounded by his Team Wiggins riders for 2018. He’s been outlining how much it costs to run his Continental-level team every year, and how it compares to ProContinental or WorldTour. Ask most cyclists or cycling fans how much it costs to run a Continental-level team and you’ll get wildly varying answers. But Bradley Wiggins has revealed how much his Team Wiggins squad costs to run each year. It’s an annual budget of £700,000, or just under €800,000 for the Continental cycling team. 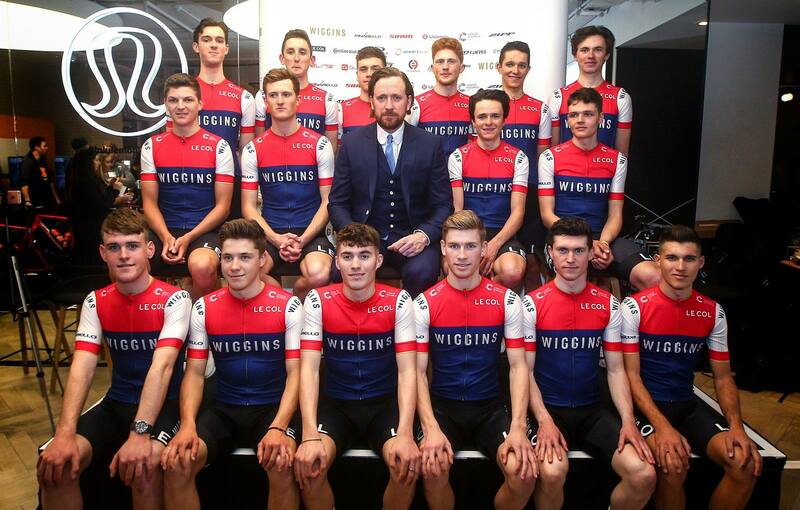 Wiggins outlined the costs during a team launch event yesterday. His line-up for the 2018 season includes Irish riders Michael O’Loughlin, Matt Teggart and Mark Downey. Another Irishman, the cycling agent Andrew McQuaid, is also heavily involved in running the squad. This year, as well as Downey and Teggart joining up, British wonder rider Tom Pidcock is also involved. He’s already a multiple world and European champion; his titles coming in both cyclocross and on the road. 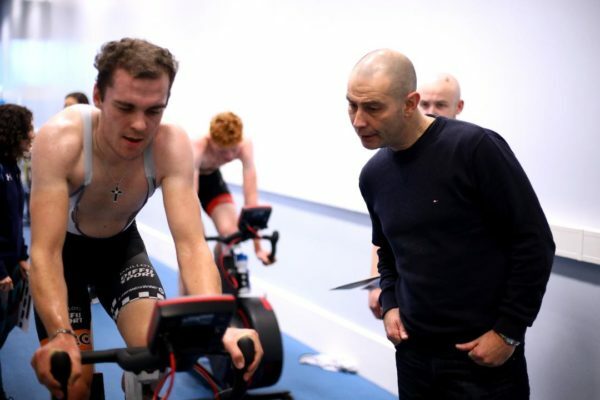 Matt Teggart and fellow Irish rider Mark Downey being put through their paces on Wattbikes with Team Wiggins coaches looking on. Wiggins said most cycling teams started with a five-year plan to get to the Tour de France. He added they were soon hit with the reality of needing to come up with a £6 million budget every year. And he insisted that his team had no desire to ever be in the Tour. Instead, he wanted to support and guide young riders as they developed. He also believed they should have fun and that cycling teams should not be detached from the public. Some of his comment in that regard appeared strange because he was speaking against the very approach to the sport that he himself, and Team Sky, took when he was riding. “This sport is becoming too serious. Everything’s about results and power meters and skinsuits and aero helmets,” he said. “I want to take it back to what cycling used to be about when Hinault and that got changed in the back of a car. 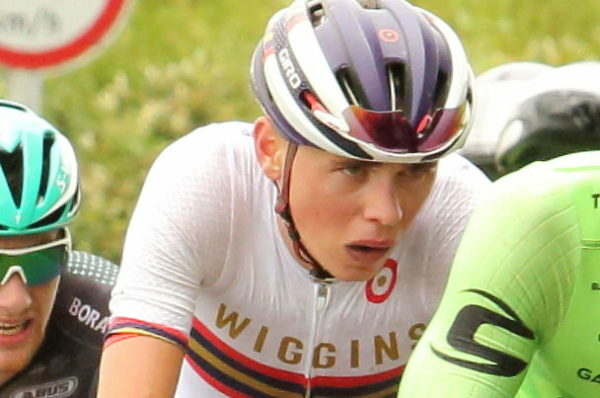 O’Loughlin rode for the Wiggins team last year. 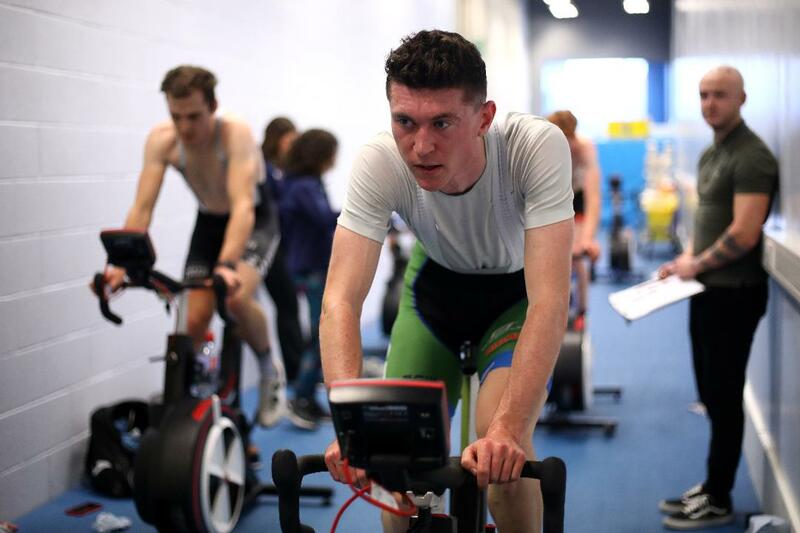 Above, on his way to the U23 Irish road race title in Wexford. Wiggins continued: “I’m very nostalgic, and I always hold onto why I got into something. But it’s so far removed from that now. “It’s a shame, but I’ve got the opportunity to do something about that. (To) make it fun again, interesting and engaging with people. It’s what I think the sport is lacking at the moment. “Everyone’s got an opinion but nobody actually wants to do anything about it. Bradley Wiggins also insisted that his team was not impacted by Chris Froome’s salbutamol case and the negativity flowing from it. Wiggins did not make any substantive comment on his own TUEs being leaked, or the ethics of the medicines he had taken. “I’m going to have my say on that very soon,” he said, though he did not outline any further details. Wiggins broke no rules in being prescribed medicines to combat allergies several times in his career. But when the details were leaked in late 2016 some riders said the TUEs were not ethical.